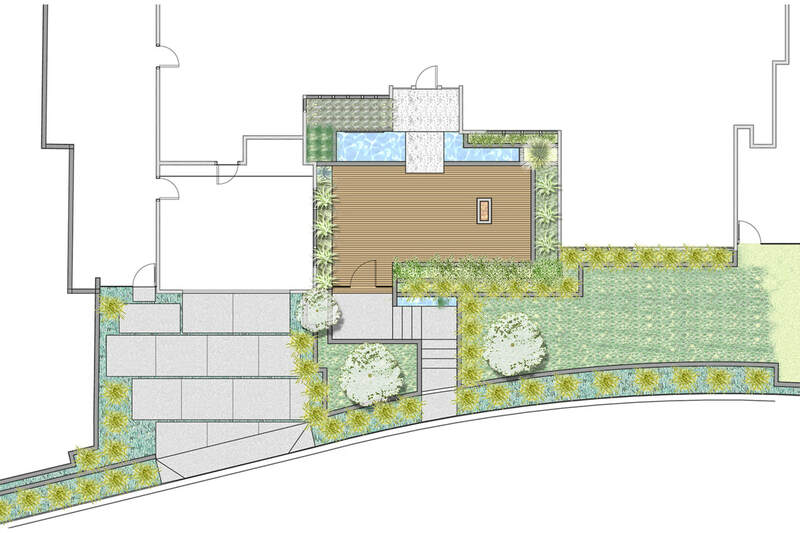 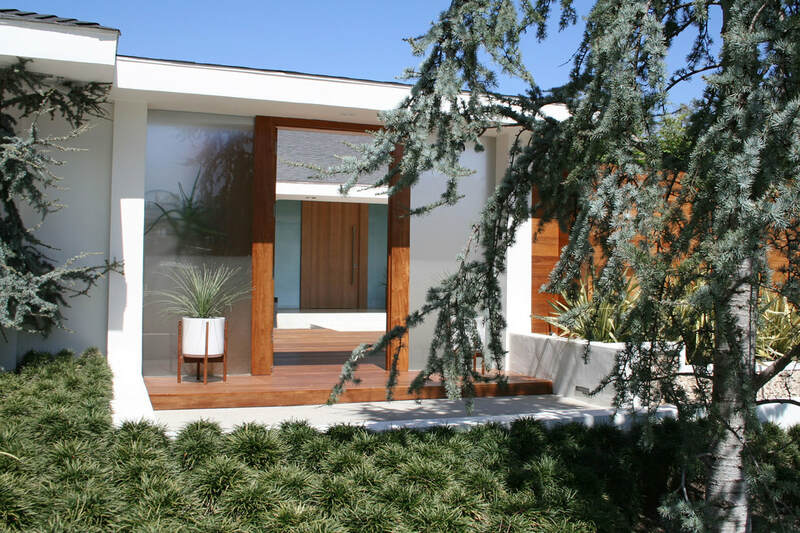 To create usable, private spaces in the front yard was the main design criteria in this renovation project. 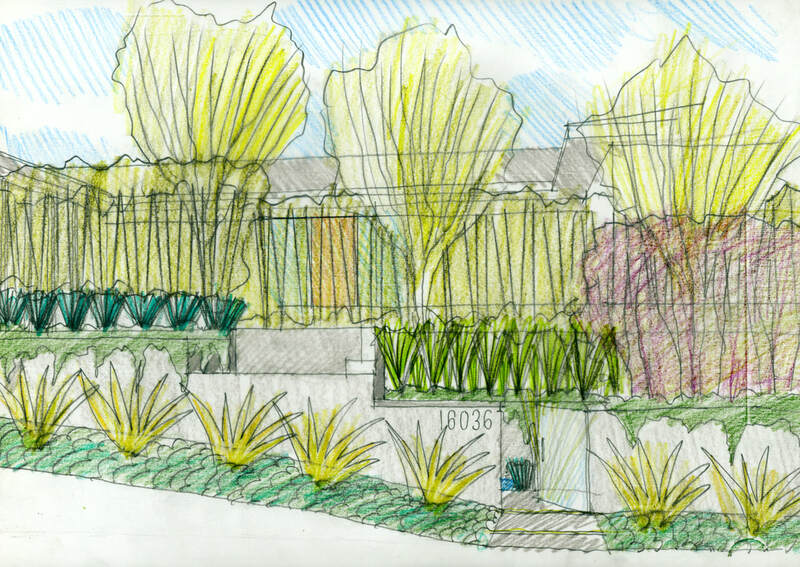 The challenge was to carve out these spaces from a site that sloped steeply with the street as well as towards the street. 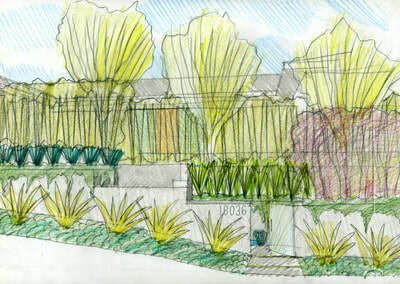 By using retaining walls, habitable and planting terraces were created from otherwise wasted land. Painted white to match the house, the retaining walls are an architectonic extension of the contemporary residence, framing planting beds and defining outdoor rooms. 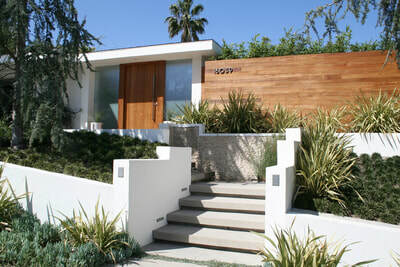 From street level, a flight of stairs leads one up to the front gate, comprised of an elegant wood door and translucent walls on each side. 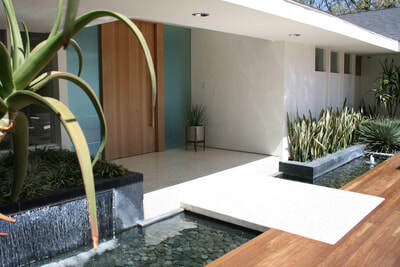 A water feature spills over ledger stone and cascades with the entry stairs. 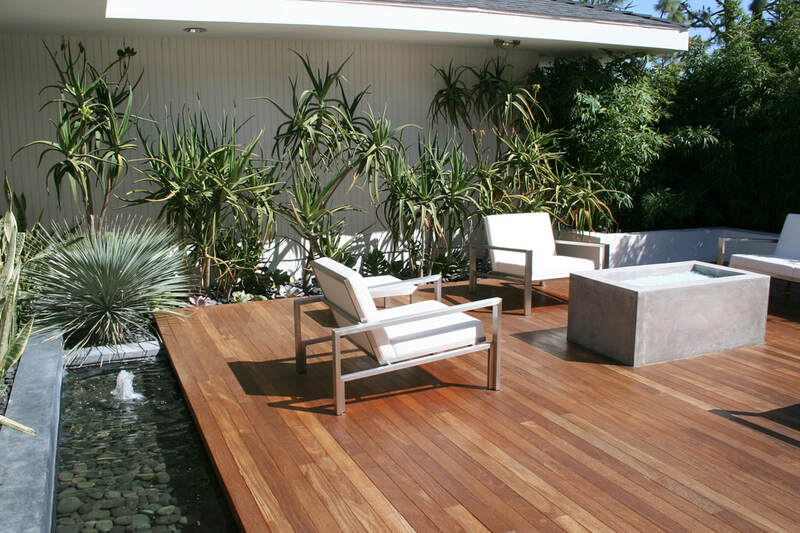 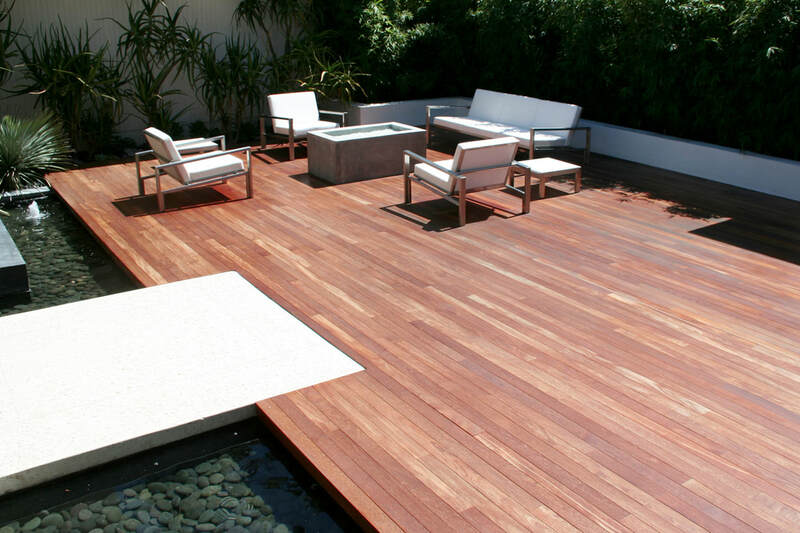 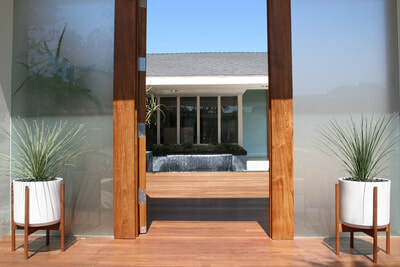 Behind the front gate and wood wall lies a generous courtyard paved in teak wood. 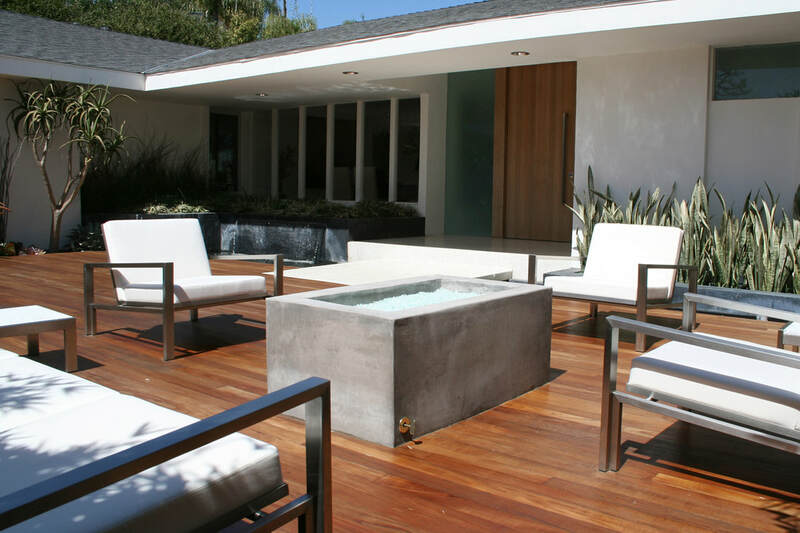 Here, specimen succulents surround an outdoor living room like beautiful sculptures. A fire feature acts as the centerpiece around which family and friends can gather. 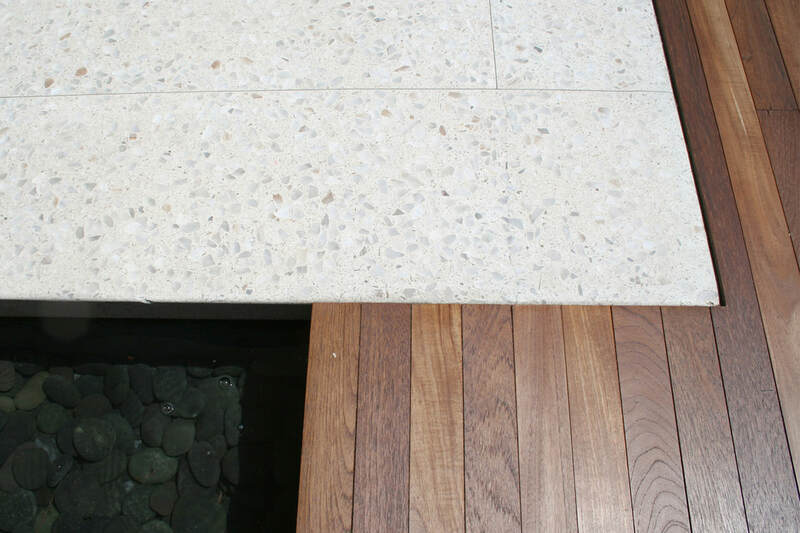 Adjacent to the main entry is a water feature that acts as a focal point to stop and pause before entering the house across a terrazzo bridge. 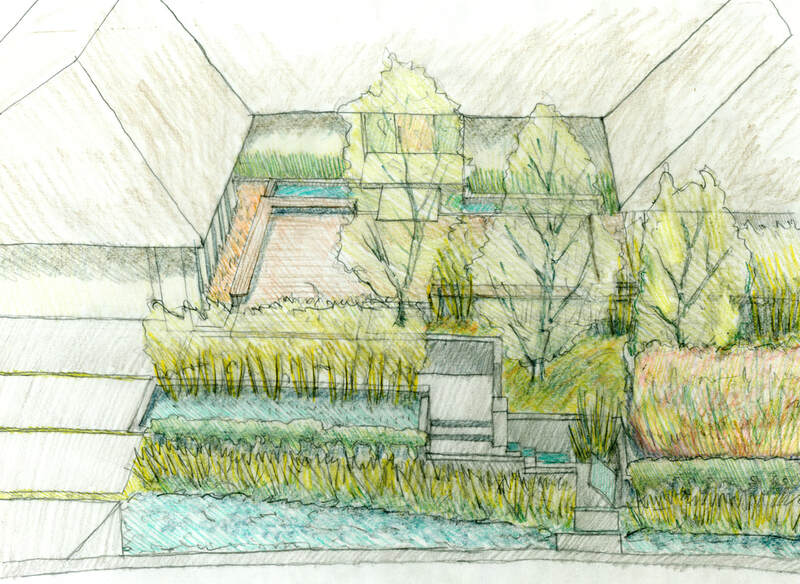 By paring the plant palette to a select number of species and through the use of massing, the richness of textures and colors is highlighted. 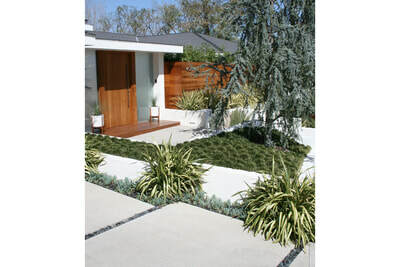 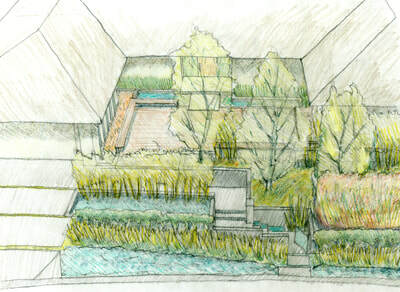 Together, the plants and warm materials create a contemporary garden that is both functional and evocative.